I know we are way past Valentine's Day but I had to share this cute idea from shimandsons. This would also make a cute goodie bag idea for a kiddy party. or this neat idea from Oh Happy Day who created clay hearts from Sculpey or Fimo (clay that hardens when you bake it) and threaded them into bracelets and chains for decorating around the house! 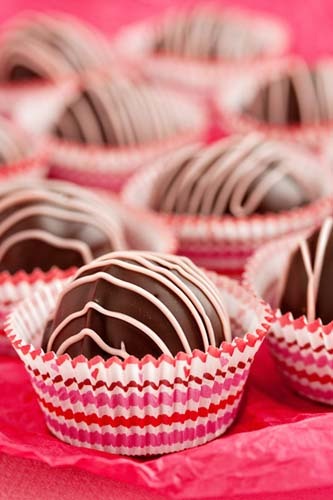 or if you make these oreo truffles, check out the full step-by-step guide here.